5 Ton Overhaul Ball - No Tag Call 1-800-342-7575 for more information. Johnson 40 Ton 4 Sheave Hook Block $3,500 in Erie, PA Call 1-800-342-7575 for more information! Johnson 60 Ton 4 Sheave Hook Block $3,500 in Erie, PA Call 1-800-342-7575 for more information! Koehring 60 Ton 5 Sheave Hook Block $5,000 in Erie, PA Call 1-800-342-7575 for more information! 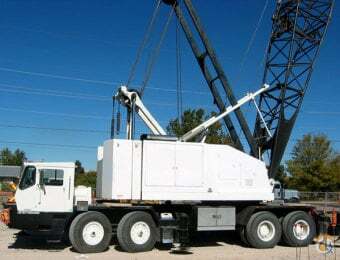 Miller 35 Ton, 2 Sheave with 3/4" Wire Rope Hook Block; CranesList ID: 272, http://www.CranesList.com LOCATED IN TEXAS! For Sale: Used McKissick 5 Ton Ball 125 lbs. Call 1-800-342-7575 for a quote! Hook Block for Sale: QRJ50SV12RTC Gunnebo Johnson 50 Ton 7 Sheave ½” wire rope 1100 lbs. Call 1-800-342-7575 for a quote! Contact Dereck@Empirecrane.com for pricing MODEL: OHB 3,2.60.C-2 3.2 Ton 135 LBS. Altec AC35-127S, AC38-127S One Piece 31' Jib; CranesList ID: 265, Includes JIB BRACKETS and everything needed for it to be installed http://www.CranesList.com, LOCATED IN COLORADO! Contact Dereck@Empirecrane.com for Pricing! Gunnebo Johnson 19 Ton Overhaul Ball 1196lbs In stock and ready to ship!! On this page, you are viewing a list of part ads for sale, divided into a number of pages. Every product from the list has images and descriptions, and a list of specifications. Above the table, please click a column label to sort the part listings, another click of the same label will sort the listings in reverse order. You may also sort the part listings by selecting an option from the Sort selection boxes, also located above the table. From the drop-down list on the left side of the page, you can select and filter by type, manufacturer, brand, as well as by other product specifications. Clicking the Reset button will clear all criteria and bring you back to the Crane Part Sales listing. The parts filters are set to ease you in the process of finding the desired results. Buy a Crane Part from an industry leader in Crane Parts for sale! New Crane Parts and Used Crane Parts for Sale and Rental. Crane Parts for sale at CraneNetwork.com. Search from 1000's of Crane Part listings for new and used Crane Parts updated daily from 100's of dealers. Buy high quality used Crane Parts from our network of worldwide locations for used Crane Parts and quality lift equipment. 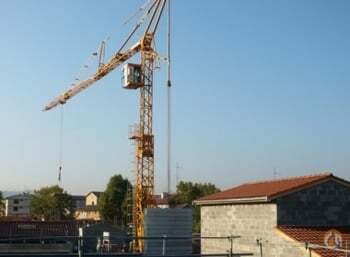 Crane Part Sales -- find Used and New Crane Parts for Sale and Rent amongst extensive inventory listings on CraneNetwork.com. Crane Parts for sale and rent. See all parts for sale on the Crane Network, a leader in Crane Part Sales. Over 30,000 companies and individuals rely on our online services to effectively manage their fleet for the sale and rental of cranes and equipment.